79nights has partnered with Google, Enterprise UK, the Department for Business Innovation and Skills, BT and e-skills UK to support a joint initiative to get 100,000 UK businesses online and directly help Black Country SMEs create their first websites easily and for free. Getting British Business Online (GBBO) will target the 1.5 million UK businesses that do not currently have a website, giving them the opportunity to create a free professional website and access to training and support. 79nights is supporting the initiative by offering free initial advice to business owners who want a clearer idea of the online possibilities open to them. Commenting on their involvement with Getting British Business Online, Rob Langdon, owner of 79nights said: "This is a great opportunity for business owners in the Black Country to set up, or have set up for them by us at 79nights, a website which will enable them to immediately increase their potential customer base and increase sales. For more information please call me on 01384 343337 to arrange an initial, no-obligation chat to discuss your needs". 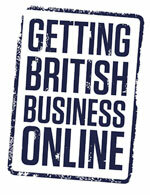 Businesses that sign up to Getting British Business Online will be given a free .co.uk web address that will be automatically registered in Google's search engine, a new 'wizard' tool that will help them create a website businesses and ways to attract new customers online. BT will offer free phone support to participants, PayPal will soon enable businesses with a GBBO-powered website to turn their site into an eCommerce platform in just a few clicks. This means they can begin selling to customers and accepting payments quickly and securely via the web. Commenting on the launch of Getting British Business Online, Matt Brittin, UK Managing Director, said: "Consumer behaviour is changing rapidly as people increasingly turn to the web to find information about local businesses and services. With over 40 million people in the UK now online there has never been a better time for small businesses to use the Internet, enabling them to reach new customers in new markets. We hope a free, easy-to create website will give small businesses the boost they need to get up and running."